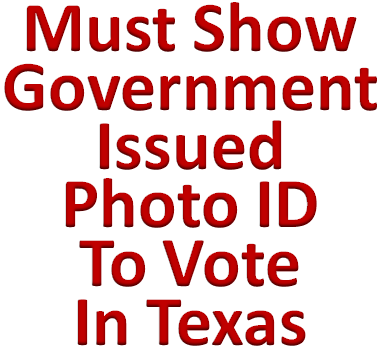 As this blog posted on Monday, a new Brennan Center for Justice study (PDF) finds that a string of election laws passed in Texas and 12 other states -- and proposed in 21 more states -- since the 2008 presidential election could block up to five million voters from polling places in 2012. Those laws could disproportionately suppress turnout of younger voters, minorities and lower-income voters who have traditionally voted for Democratic candidates. The Brennan Center estimates that the new laws could affect some 171 electoral votes, including those of five swing states for the November 2012 presidential election. All but two of the new election laws were passed by Republican controlled legislatures and signed by Republican governors, leading the Democratic Senatorial Campaign Committee (DSCC) to cry foul. To preserve ballot access for voters who have been eligible to vote in past elections, but who may be blocked from voting in 2012, the DSCC has launched the "2012 Election Protection Project." The 2012 Election Protection Project has set up an "Election Protection Project Action Center" website to serve both as an information hub on potential voter suppression and a conduit to help voters register online. The project will broadcast online advertisements on Twitter, Facebook, Google and mobile text devices. The project will also promote petition and email outreach campaigns to raise awareness about new voting restrictions. President Barack Obama last week told a radio audience in an interview with radio host Michael Smerconish that he's made sure the Justice Department is reviewing restrictive voting laws passed across the country. OBAMA: With respect to Pennsylvania the people of Pennsylvania will ultimately decide how they want to allocate their electoral votes, and I’ll leave it up to them. I will say that my big priority is making sure that as many people are participating in our democracy as possible. Some of these moves in some of the other states that we’ve seen—trying to make it tougher to vote, restricting ballot access, making it hard on seniors, making it hard on young people. I think that’s a bit mistake and I have made sure that our Justice Department’s taken a look at what’s being done across the country to ensure that people aren’t being denied access to the franchise. But as a practical matter, the DOJ's reach is limited. Officials with DOJ's Civil Rights Division are reviewing voter ID laws passed in South Carolina and Texas because both states have a history of discrimination and are covered by Section 5 of the Voting Rights Act. DOJ told South Carolina in August that they need more info before making a decision and in September told Texas they have more questions. But for all the other states that passed voter ID laws this year that aren't subject to Section 5 of the Voting Rights Act, DOJ intervention is impossible, until after the 2012 election.